Oil prices inched higher on Tuesday morning as buyers joined the fray, aided by a more positive OPEC attitude towards a deal extension. • The U.S exported an average of 520,000 bpd of crude oil in 2015, up 12 percent from the year before. That came even as domestic production declined. • The number of destinations also grew sharply, with exports going to 26 different countries last year, compared to just 10 in 2015. • In 2015, over 90 percent of crude exports went to Canada, but only 58 percent in 2016. • The top destinations after Canada last year were: the Netherlands, Curacao, China, Italy, the UK, South Korea, Singapore and Colombia, to name a few. • Chevron (NYSE: CVX) started production at a third LNG train at its Gorgon export facility in Australia. 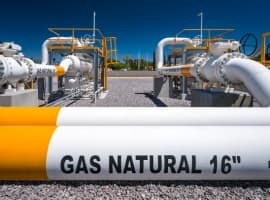 The startup could exacerbate the glut in LNG markets because some of the new supply is not contracted out for buyers. The excess could flood the spot market. • Energy Transfer Partners (NYSE: ETP) says that oil is beginning to flow through its Dakota Access pipeline. Once at full capacity the $3.8 billion project will carry 570,000 bpd from North Dakota to the Midwest and Gulf Coast. Oil prices dipped on Monday on concerns about OPEC’s resolve and its intention to extend its production cuts for another six months. However, prices moved up on Tuesday on a weaker dollar and some bargain buying. OPEC to weigh deal extension. OPEC’s monitoring committee met over the weekend to assess the status of the production cuts. Several members voiced their support for an extension of the deal for another six months beyond June. “It seems that most of the OPEC and non-OPEC (countries) are going to extend the agreement, but time is needed to evaluate the situation and to have face-to-face meetings and discussions with others," Iran’s oil minister Biajn Zanganeh said from Moscow. However, no formal recommendation will come until the group meets again in April. Saudi Arabia lowers tax rate for Aramco. The Saudi government cut its taxes on Saudi Aramco this week, a move seen as boosting the value of the company when it launches its IPO. The tax rate will fall from 85 percent to just 50 percent, bringing the company “in line with international benchmarks,” the government says. The government hopes to raise somewhere on the order of $100 billion from the partial IPO of Aramco. Goldman warns against OPEC extension. 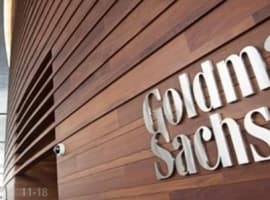 Goldman Sachs says that an extension of the OPEC deal is not needed, given that the market is adjusting. Inventories are coming down, and that is exactly what OPEC aimed for with its deal. An extension in the hopes of higher oil prices would backfire, Goldman says, because if prices rose above $60 per barrel, U.S. shale would come back much stronger. Libya oil production cut by 252,000 bpd. Production at Libyan oil fields fell by 252,000 bpd this week because armed factions forced the shutdown of a few oil fields. Libya’s output continues to seesaw amid political deadlock and war between rival factions. Shale companies step up hedging. The shale industry is increasing its hedging as a way to protect themselves from a downfall in prices. Shale producers have hedged roughly 27 percent of their production this year, compared to just 17 percent at this point a year ago, according to Wood Mackenzie. The average strike price for the hedges is $54 per barrel, compared to just $42 per barrel last year. Trump begins process of undoing Clean Power Plan. President Trump today signed an executive order that calls for scrapping the Clean Power Plan, the Obama administration’s signature achievement to address climate change. The program places caps on carbon emissions from power plants aimed at cutting CO2 emissions by 32 percent below 2005 levels by 2030. President Trump is hoping to undo this program, but as an official rule, it will be a lengthy and arduous process and will certainly lead to legal fights. The executive order will also not lead to a sudden construction wave of coal-fired power plants, which are investments with time horizons stretching out decades. Utilities have all but moved on from coal when planning new investments, and Trump’s moves are unlikely to change that. Maryland to ban fracking. The state of Maryland is moving close to banning fracking within its borders. The state senate approved the measure, and the ban surprisingly has the support of Maryland’s Republican Governor. Maryland will become the second state within the Marcellus Shale to ban fracking, after New York. The state has only a small slice of territory along its western border that is seen as viable for natural gas drilling. Shell and Anadarko split joint venture. Royal Dutch Shell (NYSE: RDS.A) and Anadarko Petroleum Corp (NYSE: APC) are set to let a 10-year joint venture in the Permian Basin expire so that they can split their properties and go it alone. They believe that a breakup will both of them to accelerate development. Shale drillers leaving uncompleted wells. Reuters reports that the shale industry is back to drilling hundreds of new wells every month, but they are leaving a sizable portion of those wells uncompleted. The backlog of drilled but uncompleted wells (DUCs) became a feature of the oil bust. But DUCs are actually on the rise even though the shale industry is in the midst of a rebound. Reuters finds that many companies are drilling anew because of the terms of their lease agreements, which require drilling activity within a certain timeframe or else the companies forfeit the land. The DUC backlog in the Permian Basin alone amounts to roughly 300,000 bpd of fresh supply. Chinese oil demand softens. If oil prices are to take another downturn, weak Chinese demand could be one of the culprits. The Chinese economy has slowed so far this year, and the rush to fill China’s SPR in recent years was a sort of one-off shot in the arm for demand. With large portions of the SPR filled up, China’s oil imports are slowing. Hedge funds liquidate bullish bets. The unwinding of bullish bets by hedge funds and other money managers continues. Instead of the one-sided bet that we have seen in recent months, the faltering sentiment has forced many investors to close out their long positions. The rush for the exits is putting downward pressure on crude prices. Hurricane Energy makes North Sea discovery. Hurricane Energy (LON: HUR), a small oil E&P in the UK, made a large discovery west of the Shetland Islands this week. The discovery is billed as one of the largest undeveloped finds in the North Sea recorded this century. The North Sea has been suffering from years of decline, but the less developed areas west of the Shetlands could provide a new lease on life for the region.